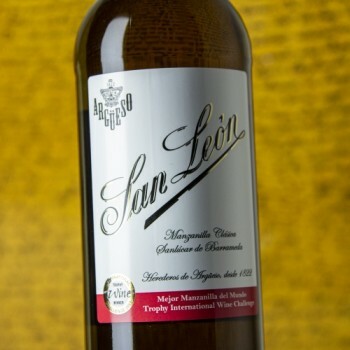 The NV Manzanilla San Leon Clasica produced with Palomino grapes and aged for 60 months under a yeast veil (flor), has a light straw color, a powerful nose with a strong imprint from the yeast, notes of hay and straw, marine and flowery. The palate is light- to medium-bodied, really fine, clean, intense and pungent, ending with some bitter almond notes. Drink 2013-2014. 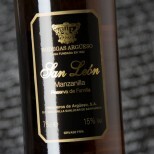 Aged for more than 60 months with the traditional Soleras system.